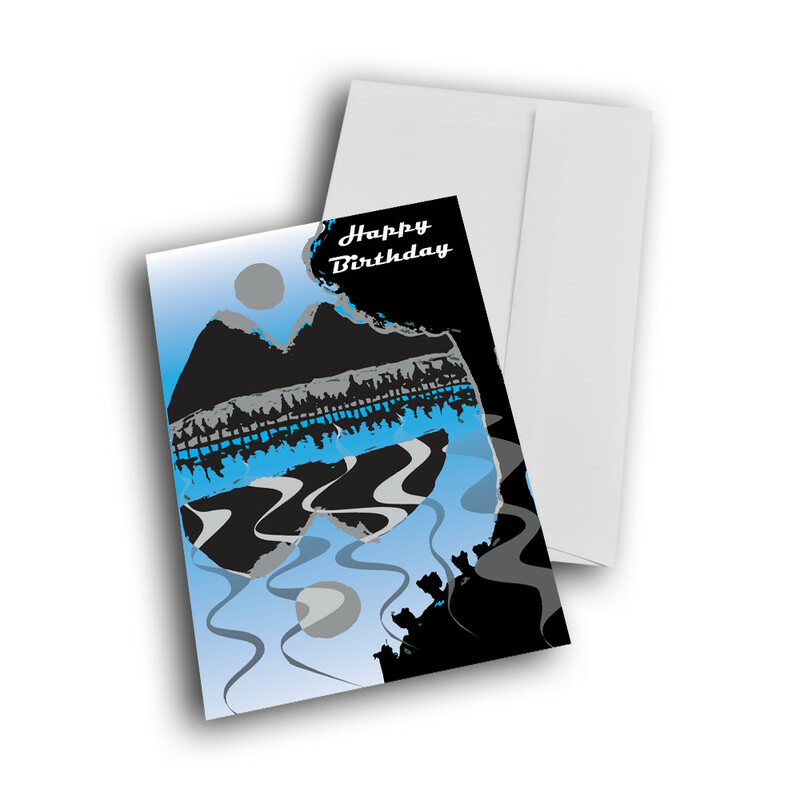 Send a birthday card with style and detail that will stand out among all the others. 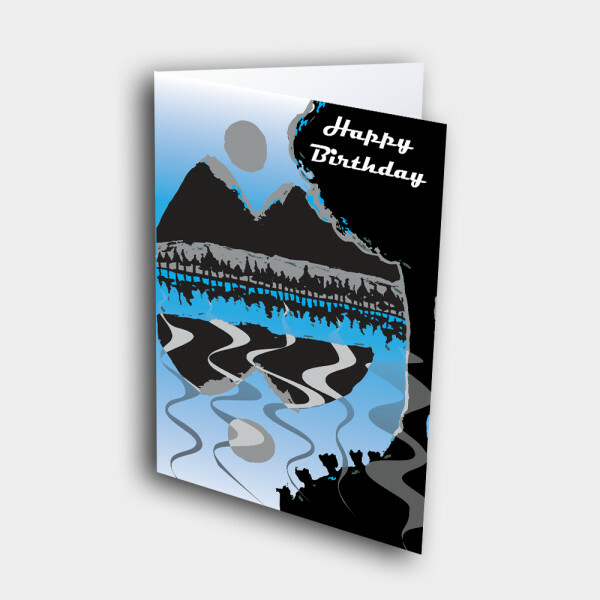 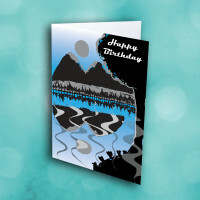 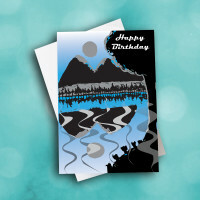 Make a statement and convey your birthday wishes with this unique greeting card. The front features a landscape of trees and mountains, reflected into a glassy lake; the grey sun sets neatly framed between the two peaks. 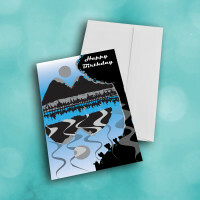 The almost-futuristic color patterns give this card a level of elegance and professionalism, making this birthday card ideal for even business relationships. 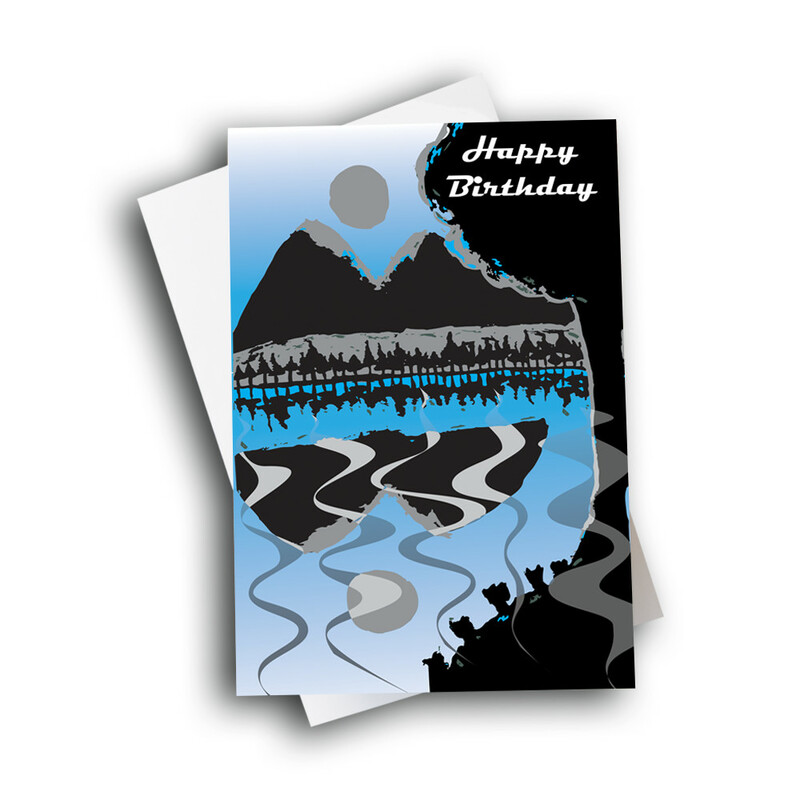 Personalize your message inside to give the card that personal touch.